Prathivadi Bhayankara Sreenivas was a legendary playback singer who sang around 3000 songs in Tamil, Malayalam, Tulu, Telugu, Kannada, Konkani and Hindi language. He was known for his contribution in Kannada music industry for over 3 decades and had sung the highest number of songs for the same. He breathed his last on 14th April 2013 in Chennai. He was 82 years old. Born to musician Seshagiriamma and a civil servant P.B. Phanindraswamy in Kakinada, Andhra Pradesh, Sreenivas grew up to become a legendary playback singer in the Kannada music industry. He finished his graduation with a B.Com degree and further cracked the Hindi Visharad Exams of the Dakshin Bharat Hindi Prachar Sabha. Though his father wanted Sreenivas to get into the government sector as an officer however, that did not happen. Sreenivasan learnt his bits about the Indian classical music from his mother and listened to Mohammad Rafi and other singers on the radio sometimes. It was at the age of 12 that he was given a chance to sing at a drama by his uncle Krishnaswami. His glorious journey began when he came to Madras and met the owner of the famous Gemini Studios - Mr. S.S. Vasan, through a family friend who was coincidentally a renowned Veena player of his time. Sreenivas performed 'Hum Huye Jinke Liye Barbaad' originally sung by Mohd. Rafi for the movie Deedar which led him to his musical debut in 1952. His first song was a duet "Aji Hum Bharat Ki Naari" for the film Mr. Sampat. Sreenivas become popular as quick as a wildfire and sang with the renowned names of the industry like Shamshad Begum, Jikki and Geeta Dutt. During this movie, Sreenivas got a bit of help from sound recordist Jeeva in entering the Film Industry of South India. Well known Director R. Nagendra Rao chose Sreenivas to sing 2 songs each in his tri-lingual films Jathakaphalam, Jathakam and Jathakaphala. It was with the song "Baagilanu Teredu" that Sreenivas became highly popular among the Kannada mass. In the movie Prema Pasam, Sreenivas sang his first solo hit. Sreenivas did maximum playbacks for Gemini Ganesan in the Tamil Industry and the least for Sivaji Ganesan. He further sang songs for various superstars like Srinath, Udaya Kumar, Kalyan Kumar, Dr. Vishnuvardhan, Muthuraman, Gemini, Jaishankar and Ravichandran. Furthermore, Sreenivas sang songs of various genre such as Kalangalil Aval Vasantham, Shradha Bhujanga Stothram, Mukunda Mala, Malar Thorum Mandahasam, Innu Kaanum Ponkinakkal Padinjare Manathulla and many more. Inspite of being a language king, Sreenivas ruled the Kannada music industry for over 3 decades and sang maximum number of songs for the same. He was also a Poet who read his poetry at many events of his life one such poem was 'Man To Moon'. R. Srinath penned a biography "Madhurya Saarvabhowma" on Sreenivasa that was released in the year 2013 in Bengaluru. Sreenivas lend his voice to veteran actor Rajkumar in 300 odd songs. Rajkumar once called himself the body and Sreenivas as his voice. While Sreenivas quoted that he was an awardee when Rajkumar received his Dadasaheb Phalke. It was only on the sets of "Sampattige Sawaal" when Sreenivas was not available. Eventually, Rajkumar had to sing the song himself which marked his debut into the music world. Sreenivas was awarded with the prestigious Kannada Rajyotsava Award by the then CM of Karnataka. He also won the Karnataka Nadoja Award as well as the Dr. Rajkumar Souhardha Award during his lifetime. He was also the proud winner of the Tamil Nadu State's Honorary Kalaimamani Award. It was due to a heart attack that Sreenivas suffered at the age of 82 that he breathed his last on 14th of April 2013. He is survived by four sons, a daughter and wife. "Sreenivas had left his rasikas spellbound with his melodious voice, while his devotional songs carried one to the realm of divinity." "RIP pbs.last saw him singing joyously in a restaraunt in chennai with his fan." 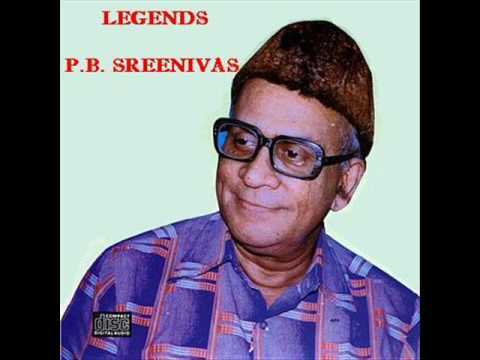 "Rip #PBSrinivas sir a legend in indian film music ... One of my most favorite evergreen voice ..."
"Legendary Singer PB Srinivas who has sung more than 3000+ songs in his career and 200+ for dr rajkumar sir.."
"RIP P B Srivinas sir,Meeting u thrice in the same flight wil always be a memory :(( miss u"
"PBS can also mean Playback Singer. His death is an irreparable personal loss to me and to the film world as a whole"
"RIP p.b.srinivas. a true legend." "P.B Srinivas Sir - RIP"